This “hub” for genomics, computational biology and pathology research was designed with the purpose of bringing together PI’s with related research goals in an efficient, multi-disciplinary facility. The 16,340 sq. ft. full-floor renovation includes three open wet/dry lab quadrants, a dry computational biology lab, shared core equipment rooms, and one interactive office suite quadrant surrounding an open, multi-function meeting and lounge space. Adaptable workbench, casework and shelving systems are designed to accommodate automated, robot-assisted research in the future. 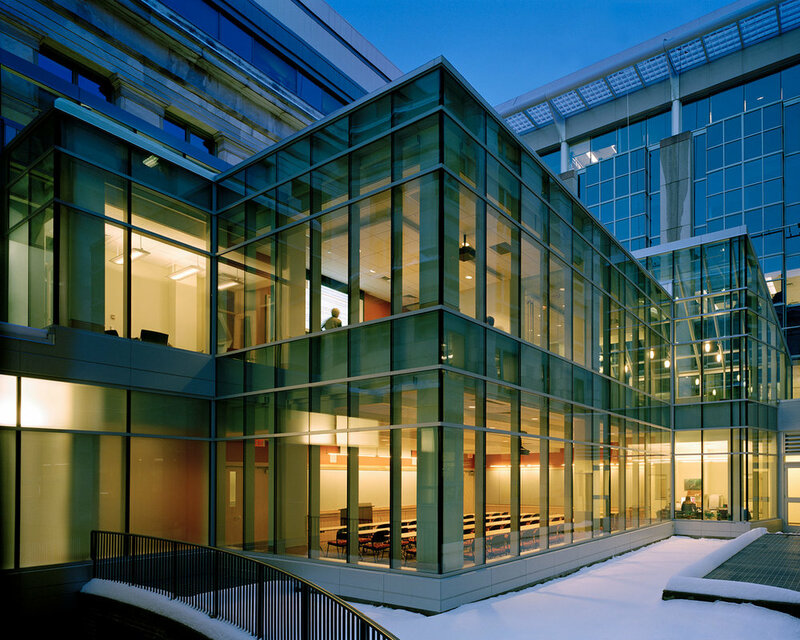 This project opened in 2006 and has become a model for later research spaces at DFCI. 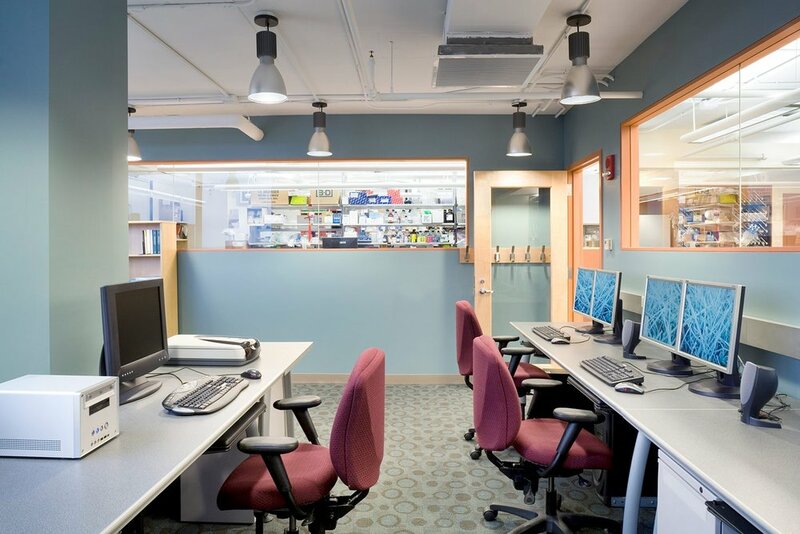 The Collaborative Genomics Laboratory has become a model for flexible research space at Dana-Farber.